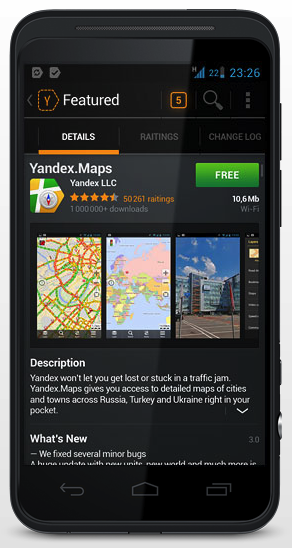 Russian search and Internet services giant Yandex is on a roll today. First, it announced the release of a custom Internet browser, and the company seems poised to set off a few more alarm clocks over at the Googleplex. Yandex is today announcing that it will soon offer an alternative application distribution system for Android tablets and smartphones, dubbed Yandex.Store, with nearly 40,000 apps available for download out of the gate. Making a play for Google Play, in other words. Yandex.Store is a native client that features in-app purchasing, push notifications, advanced app search and payment methods that include mobile billing, credit card and e-money. 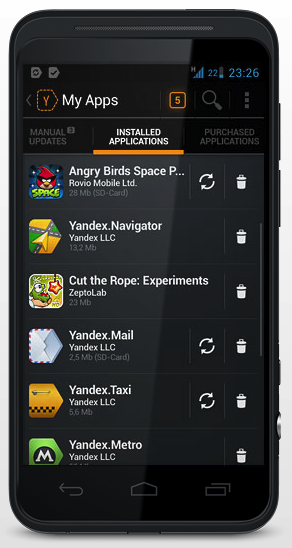 Yandex labels the alternative Android app store “yet another building block” in its mobile ecosystem. 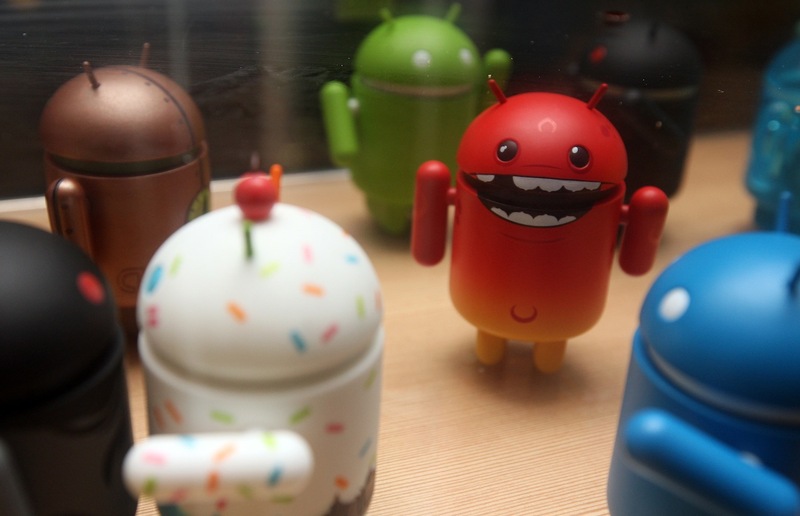 The company is now able to offer OEMs a package of mobile solutions that includes a 3D user interface called Yandex.Shell, several out-of-the-box mobile apps like search, cloud storage, mail and maps, and now also a custom Android app marketplace. 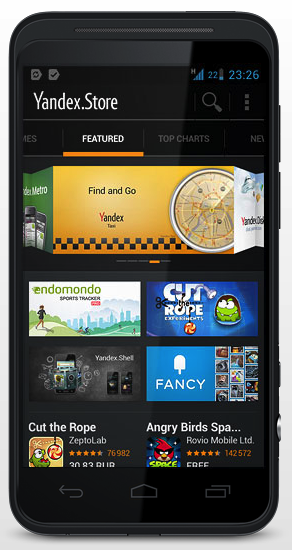 To be able to offer close to 40,000 applications right from the beginning, Yandex has partnered with Opera Software, which delivers Opera Mobile Store-licensed content from the get-go. Already, the company has preliminary agreements for Yandex.Store to come pre-installed on devices from PocketBook, text and 3Q. It has also struck a deal with one of the largest carriers in Russia, MegaFon, which will use Yandex.Store as a white-label solution to offer services through its own, MegaFon-branded app store. It’s important to note, however, that the front-end store won’t be available until the end of October, although interested developers can already head on over here for more information (site available in English). We’ll let you know as soon as Yandex.Store launches.